Design of storm shutters, deck seating structure, awnings armaments, lockers and drainage for a 52m motor yacht. Design of swim platform extension and class approval for a 52m motor yacht. Design of a transom door for a 34.57m motor yacht. Design of cradle for a 39m sailing yacht. 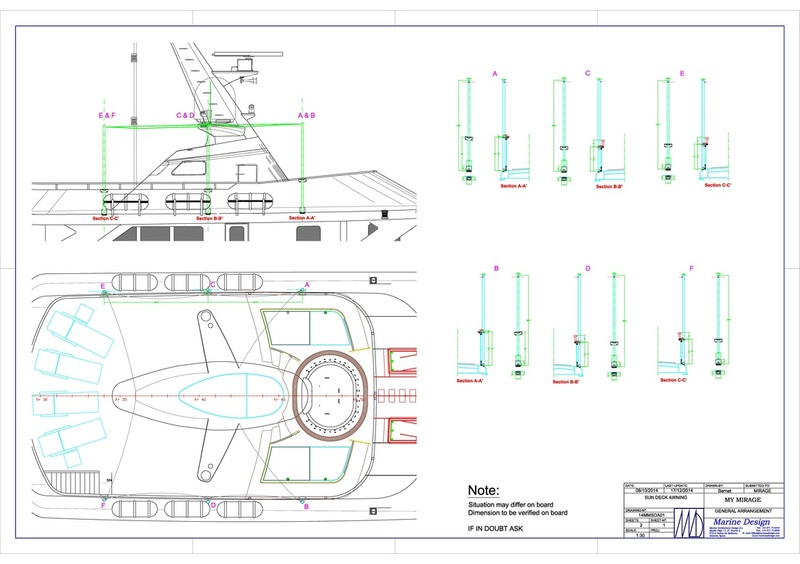 Fin stabilizer installation drawings for a 47.30m motor yacht. 4 gyros stabilizers installation drawings, class approval, onsite inspection, structural calculation, stability assessment for a 45m motor yacht. 3 gyros stabilizers installation drawings, class approval, onsite inspection, structural calculation, stability assessment for a 30m motor yacht. Design and installation of extension to helicopter deck and re ballasting for a 29m motor yacht. Modification of anchor storage system for a 37m sailing yacht. Design of a stern platform for a 41m sailing yacht. Structural modification on the keel and keel frames for a 34.17m sailing yacht. 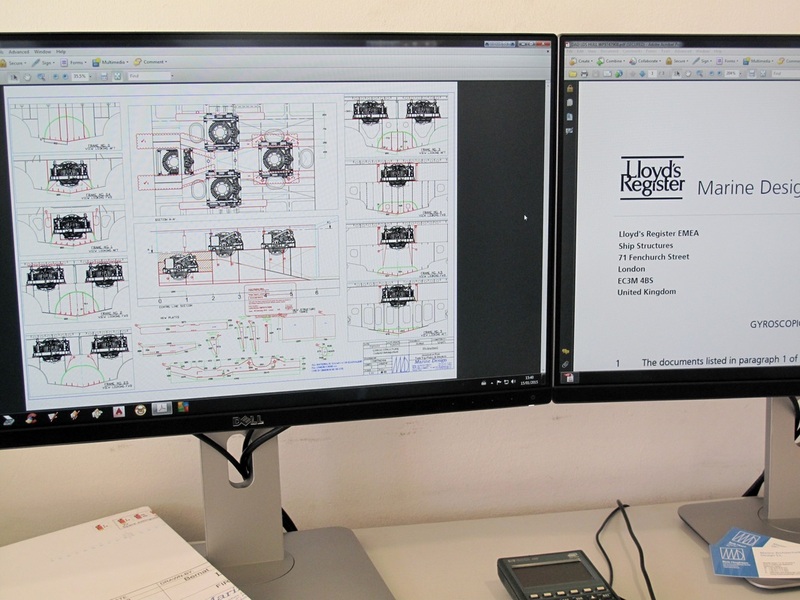 Design of bow thrusters installation and class approval drawings for a 30.48m sailing yacht. Design of layout for a new crane and boat installation for a 39.50m motor yacht.